Hi all, I'm interested in planting a FAST growing evergreen shrub/tree/hedge used as a privacy fence. The ideal look would be a dense 5 foot or higher plant that thrives in Southern Louisiana (Hot and Humid), average to moist soil. I would prefer something that is dense/full from top to bottom. As much as I would love to spend like crazy on my landscaping... like most I am on a tight budget. Any experts from Southern Louisiana out there? Around here we tend to use Cedar Primadella but, I don't know if they would survive down there. Well, I'm not an expert, but I've spent enough time in New Orleans to have left my heart there. Here's the ones I'd pick to grow quickly. 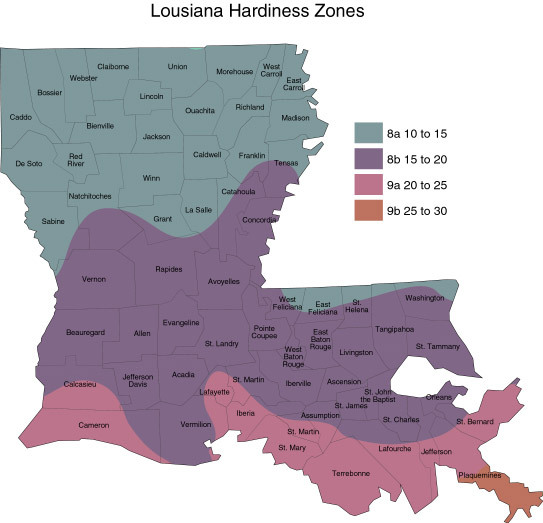 You say southern Louisiana, so I'm thinking you are in zone 9. You don't tell us if it's sun or shade, but here's some ideas. This first one is a Virburnum. There are many varieties of virburnum, but this one is evergreen and is great for wildlife too. In your location the Mexican orange blossom aka Mock orange aka Choisya ternata will probably need part shade. Thryallis - Galphimia glauca might be a good choice for a sunny spot, especially if your soil is sandy. What about bamboo? But make sure it's one that's not invasive.